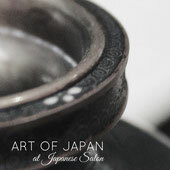 In Japan, January is an important month for our business and life. We start the year with many rituals to wish that good luck will follow through the year. I am curious to know how your company started a new year and how you started a new year. 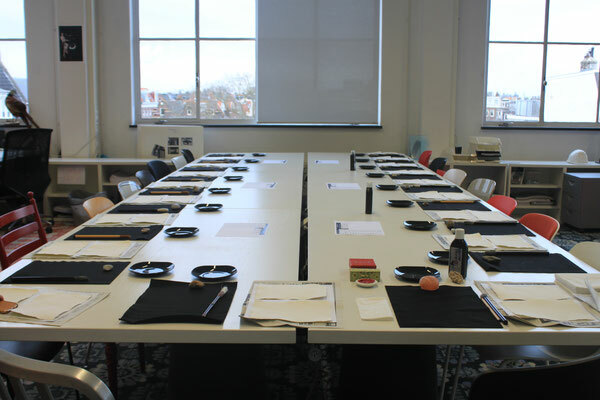 I started New Year Calligraphy at Japanese Salon, in 2009 in Amsterdam and over the years, the program has evolved and became a poplar workshop for self development and team building throughout the year. In December, it is our ritual to clean and de-clutter our house and office, get rid of old energy (especially the negativity!) and close the year and open the new door to welcome the new. We make the first visit to shrines, we exchange New Year greetings, New Year parties and many ceremonial cerebration events to begin the year. 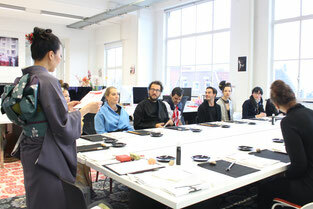 The first day of work, the first tea ceremony, the first calligraphy (called Kakizome), the first lesson of our cultural practices. New Year calligraphy is called "Kakizome" - first writing and we write our intention, wishes for the year. Not only for the individuals, but also for organisations, it is an opportunity to start well by bonding with the team and make a path to follow together. It is a very important month to take time to set an intention or mission, how we want to live, how we want to spend everyday through the year for individuals, but also as a company. 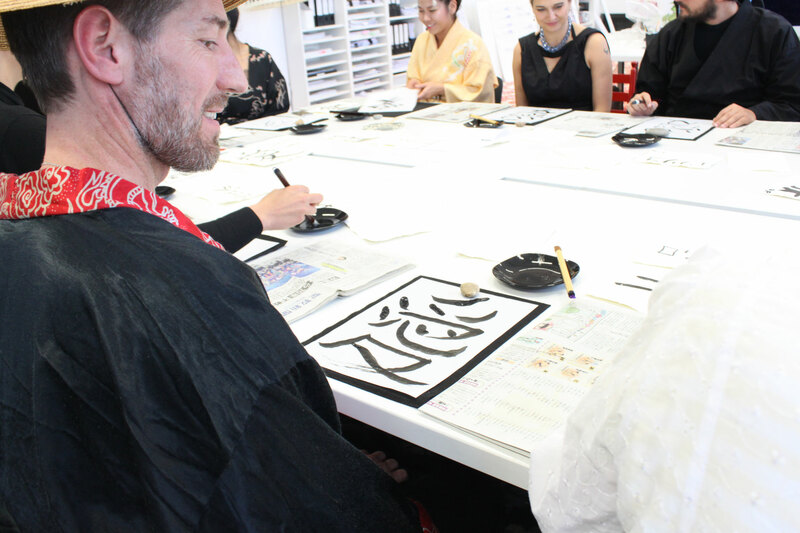 New Year Calligraphy is the great way to express this intention for the year, while you experience the Japanese culture, tradition and its wisdom with your entire body while activating your five senses. 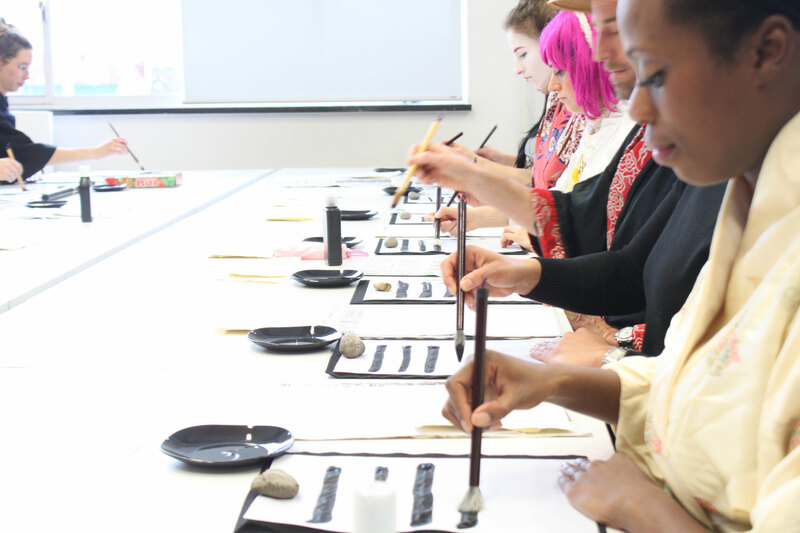 The best way to have deeper understanding of Japanese culture is by experiencing and practicing with our heart, not with your mind. Our experience is more powerful than our knowledge. 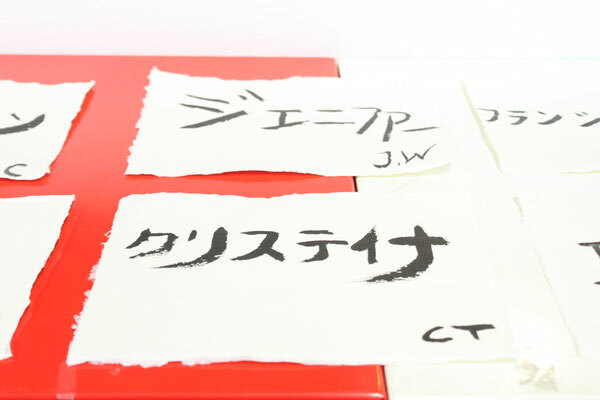 And Japanese Calligraphy is one of the powerful and effective way to learn Japanese culture and its wisdom. 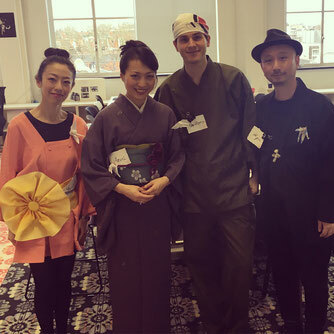 This year, Marcel Wanders Studio, an award winning international Dutch furniture and interior design company in Amsterdam, started the New Year with me to experience Japanese culture. I was privileged to create a program for workshops and give Japanese Calligraphy session for a team of 60 multinational professionals, for team building. 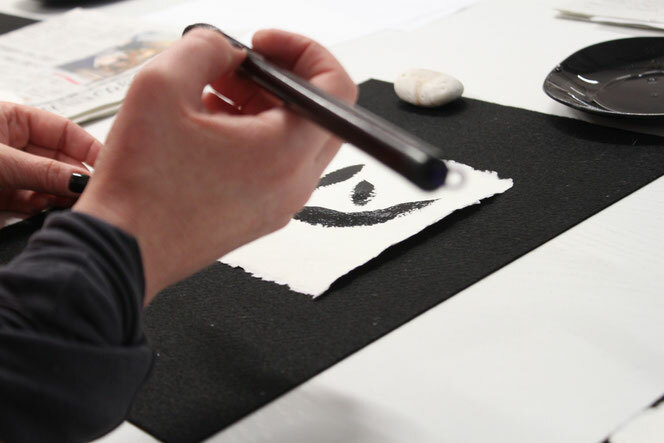 Here, I am going to share two things why New Year Calligraphy session is beneficial for self development and staff training. What my clients will learn through calligraphy session in such a short time is about self expression, acceptance, as I teach in my coaching session. It is not about making "good" result , but it is about making it as unique as possible while keeping its form, putting the gentle spot light in the imperfect part to shine as your unique beauty, like our own selves. With this practice, each individuals becomes more at peace, connect with themselves and more space for inspiration and let their creative energy to flow. Make imperfection to your own unique beauty. 2. Setting the intention for the year - How "to be". In our session, we make the Japanese symbols "kanji". In the New Year as a collective theme for the entire team. For example, "Love", - "be loving" can be chosen to be our mission and intention to live a life. I advice participants to choose, not about the goal to achieve, but how they want "to be" every day with the entire team - the fundamental value. Before making to do list and making material goals, if the staffs set a common ethical value, how "to be" and make a commitment to follow through, they will be bonded, supportive to each other, will make a priority and decision based on their intention, rather than individual ambition and material goals. 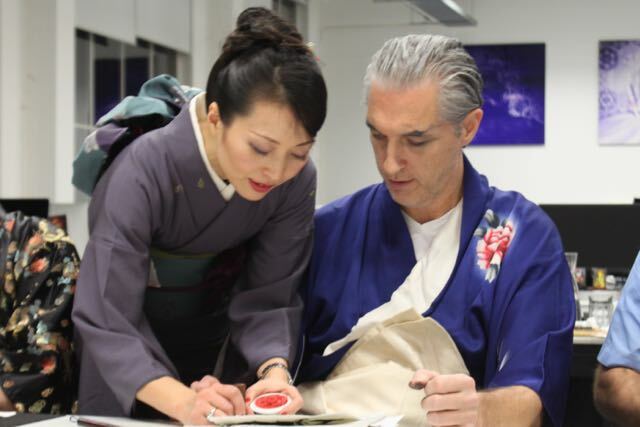 For me, New Year Calligraphy session and New Year Sake party, the combination of peace and joy, this is the way I kick off a New Year for my business. I would love to hear how you started your New Year. Especially special rituals from other cultures, please share with me.